Turkey might be the world’s most contested country. Its landscape is dotted with battlegrounds, ruined castles and the palaces of great empires. This is the land where Alexander the Great slashed the Gordion Knot, where Achilles battled the Trojans in Homer’s Iliad, and where the Ottoman Empire fought battles that would shape the world. History buffs can immerse themselves in marvels and mementos stretching back to the dawn of civilisation. One of the popular things to do here is charter a boat and go sailing for several days, both to the nearby islands of Greece as well as along the Turkish coast. When you do this, you can end up with a beach vacation in Turkey where you can go snorkeling and enjoy beaches in completely deserted coves and inlets. Then again, if you want to simply unwind, spend an afternoon being pampered at a hamam, or let the warm waters off the Mediterranean coast lap at your toes. Adventure lovers can head east to Nemrut Daği National Park. Bon vivants need look no further than İstanbul, where the markets and bars are among the most stylish and atmospheric, and the mod Ottoman cuisine rates as the tastiest, in the world. Ayvalık (meaning Quince Orchard) is a seaside resort, fishing town, olive oil- and soap-making centre, and a terminus for boats to and from the Greek island of Lesvos. The coast is cloaked in pine trees and olive groves, and the offshore waters sprinkled with islands. But there has also been some unfortunate high-rise development, especially around Sarımsaklı. Central Anatolia is the heartland of Turkey, both geographically and culturally. Tribes, races and empires have been fighting over these dusty steppes and hills for centuries, dragging cities from obscurity to prominence, or from prosperity to destruction, sometimes spending decades battling over the same patch of ground. Civilisations were made or broken in the crucible of the Anatolian summer, leaving tantalising glimpses of themselves behind. Istanbul is hot. And we’re not talking about the weather. These days, there are more happening restaurants, bars, galleries and clubs around town than there are exquisite Ottoman mosques (and that’s a lot). The international fashion and design press have been talking up İstanbul ad nauseam, but the most significant thing about the accolade ‘World’s Hippest City’ is that İstanbullus themselves have come believe it. The creeping sense of decrepitude that had fallen like a pall over their once-all-powerful home town has vanished, replaced by a sense of energy and innovation not seen since the days of Süleyman the Magnificent. Turkey’s Eastern Mediterranean means different things to different people. For holidaying Europeans, it’s a radiant and razzle-dazzle beach paradise, with the calm ocean and high-rise resorts around Side and Alanya stretching further than the eye can see. Sometimes referred to as the Turkish Riviera, this part of the Eastern Med tends to fill up to an almost unbearable degree during the high season. But arrive just before or after the crowds, and you’ll find largely empty beaches and discounted guesthouses. While the development – some would say destruction – of Turkey’s Western littoral is well documented, it doesn’t take much to discover what drew the developers here in the first place. Even amid highways, high-rises and discos, the beauty of the place still manages to shimmer through. Marmaris, for example, is as shocking for the stunning beauty of its natural harbour as it is for the concrete jungle engulfing its once-charming old town. If you’re wondering when to go for your beach vacation in Turkey for warm waters, then you should think about the summer months. The Turkey beaches are wonderful for most of the year, but the waters begin to seriously warm up around June and stay that way pretty much through about October. This is true of the Mediterranean and Aegean beaches, but it does not hold true for the beaches on the Black Sea. These waters north of Istanbul are cooled by the Dnieper River that starts in central Russia and flows through Ukraine and Belarus. Tucked away on the Datca peninsula, Ovabuku is the prettiest in a chain of three bays, along with Hayitbuku and Kizilbuk. The beach is a relatively small stretch of creamy shingle, backed by a cluster of small restaurants and pensions, while the countryside around has a lush beauty; pine forests mixed with oak, myrtle and carob trees. It’s not the beach itself that makes this such a fantastic find, it’s the whole package: peace, authenticity and a real sense of escape. Spectacularly situated between two towering cliffs, Butterfly valley stretches out in a v-shape, ending in a sweep of pristine beach. Most visitors access the beach by boat from Olu Deniz or Fethiye, but for adventurous trekkers there is a rocky path that leads down from the road (around 40 mins down and an hour back up). There is no electricity, roads or buildings in the valley but camping is allowed and there are shelters in the trees. Alternatively, stay in the peaceful hamlet of Faralya and gaze down to the beach, hundreds of feet below. Hidden between the resorts of Turunc and Kumlubuk on the Bozburun peninsula, Amos is a small cove tucked between two headlands. It’s a bit rough and ready and the pebbles are scattered with ancient wooden loungers, but there is an unspoilt beauty that makes a stark contrast to the bling and bright lights of Marmaris, which lies across the bay. Amos was once a sizeable Roman settlement and there are some remains, including a small amphitheatre with breathtaking views. Better still, there’s an excellent restaurant right on the beach, serving up fresh fish and meze. It’s hard to believe that Gemiler lies just a short way away from the heavily overpopulated Olu Deniz beach; it’s rarely crowded and reached by boat or bus ride from Hisaronu, through the fertile Kaya valley, past tobacco and wheat fields and out to the very tip of the Fethiye peninsula. Surrounded by pine and olive trees, the beach looks across to St Nicholas Island, and there are a couple of good restaurants serving up fresh meze and cold Efes beers. Olympos beach, famed for its treehouse accommodation, has been on the backpacker trail for years, but neighbouring Cirali has managed to avoid the same level of development. The 3km sweep of beach is a protected area, thanks to the loggerhead turtles who clamber out of the sea to nest on the sand. Flanked by two huge mountains, the whole area around Cirali is dramatically beautiful, while the village behind offers simple restaurants and pensions, with a pleasingly hippyish atmosphere. For meteorologists, Turkey has seven distinct climatic regions, but from the point of view of most casual visitors, the most important distinctions are between the coast with its moderate winter temperatures and hot, humid summers, and the inland areas with their extremely cold winters and excessively hot summers. The further east you travel, the more pronounced these climatic extremes become, so that much of eastern Turkey is unpassable with snow from December through to April, with temperatures sometimes falling to around -12°C. In July and August temperatures rise rapidly and can exceed 45°C, making travel in the east very uncomfortable. The Black Sea coast gets two to three times the national average rainfall, along with more moderate temperatures, making it rather like Central Europe but pleasantly warmer. Spring (April to May) and autumn (September to October) are the best times to visit, since the climate will be perfect for sightseeing in İstanbul and on the Aegean and Mediterranean coasts, and it will be cool in central Anatolia, but not unpleasantly so. Visiting before mid-June or after August may also help you avoid mosquitoes. If your primary drive is for beach-bumming, mid-May to September is perfect for the Aegean and Mediterranean coasts, if a little steamy out of the water. The Black Sea coast is best visited between April and September – there will still be rain but not so much of it. Head to eastern Turkey from late June to September, but not before May or after mid-October unless you’re prepared for snow, road closures and bone-chilling temperatures. 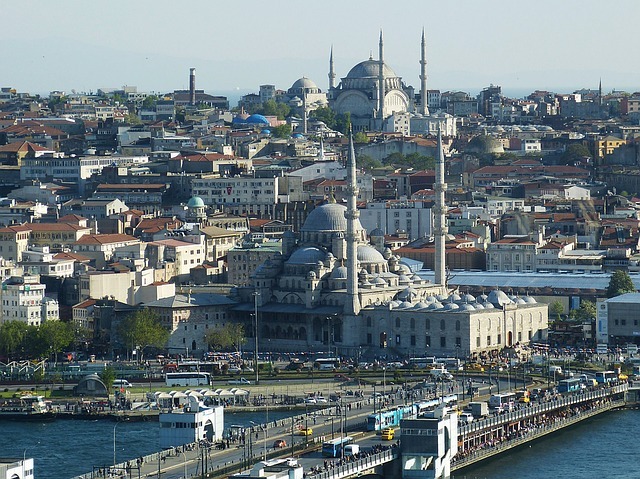 With the exception of İstanbul, Turkey doesn’t really have a winter tourism season. Most accommodation along the Aegean, Mediterranean and Black Sea and in some parts of Cappadocia is closed from mid-October until late April. These dates are not set in stone and depend on how the season is going. High season is from July to mid-September, and prices are at their peak. Anticipate crowds along all coastal areas from mid-June until early September. You will need to plan ahead when travelling during the four- or five-day Kurban Bayramı, as banks shut and ATMs may run out of cash. Also, try not to visit the Gallipoli Peninsula around Anzac Day (25 April) unless it’s particularly important for you to be there at that time. Turkey’s currency is the Yeni Türk Lirası (New Turkish Lira; YTL). Lira comes in coins of 1, 5, 10, 25 and 50 kuruş and a 1 lira coin, and notes of 5, 10, 20, 50 and 100 lira. After decades of rampant inflation – as high as 70% – the Turkish lira started to stabilise in 2003; by 2004 inflation was down to around 12%. The Yeni Türk Lirası was introduced in January 2005. However, it still makes sense to wait until you arrive in Turkey to change your money into lira since you will probably get a better exchange rate inside the country than outside. Turkish lira are virtually worthless outside Turkey, so make sure you spend them all before leaving. Restaurateurs and shop owners don’t often carry large-denomination notes on them, so try to keep a supply of small money on you for small payments.